M Motorsports, LLC (D/B/A Used Car Factory) is a unique dealership firm dedicated and determined to providing buyers with a time and cost saving alternative to purchasing new and quality pre-owned automobiles, aircraft, boats, golf carts, motorcycles, and heavy construction equipment. Our experienced staff of consultants will work for you to achieve the best value for your next purchase. E-mail us or give us a call, tell us what you want and we will do the rest. 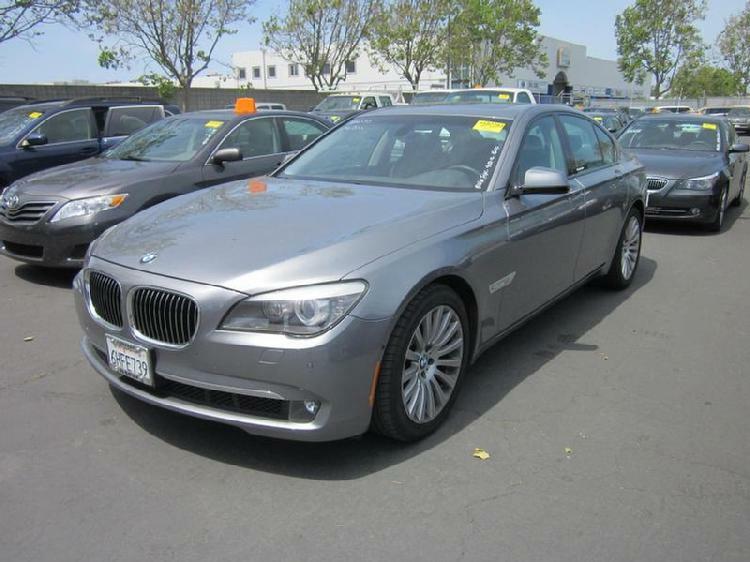 Avoid going from dealership to dealership wasting hours of your precious time looking for that car at the best deal - M Motorsports, LLC has access to dealership and auction inventories nationwide. Thus, giving you - an M Motorsports client, access to the lowest possible prices and terms on any new and/or pre-owned item. Not sure of what type to buy? Your Personal Consultant at M Motorsports, LLC stays abreast of the latest reviews and ratings on all cars, SUVs, trucks and vans. We will educate you on which vehicle would work best for you and your budget. M Motorsports would like to congratulate John & Judy Long on the purchase of their Toyota Camry. John & Judy purchased their new car from our M Motorsports of Georgia operation. Thanks for another great "M" sale & delivery Justin Long! Welcome to the M Motorsports Family John & Judy! M Motorsports would like to congratulate Ronni Burse on the purchase of her Kia Sorento EX 4x4. Both Dr. Luther & Dr. Janella Thomas-Burse purchased Ronni's new SUV from our M Motorsports of Georgia operation. Welcome to the M Motorsports Family Ronni! M Motorsports would like to congratulate Virginia Davitz on the purchase of her Mazda 3. Virginia purchased her new car from our M Motorsports of Illinois operation. Thanks for another great "M" sale Richard Ducksworth, Sr.! Welcome to the M Motorsports Family Virginia! M Motorsports would like to congratulate Armand Mitchom on the purchase of his Yamaha R6 racing motorcycle. Armand purchased his new racing motorcycle from our M Motorsports of Georgia operation. Welcome BACK AGAIN to the M Motorsports Family Armand! M Motorsports would like to congratulate Seniqua Williams on the purchase of her BMW 3 series. Seniqua purchased her new car from our M Motorsports of Georgia operation. This is the 2nd car Seniqua has purchased from us! Welcome BACK AGAIN to the M Motorsports Family Seniqua! Congrats AGAIN Dorothy & Lawrence! 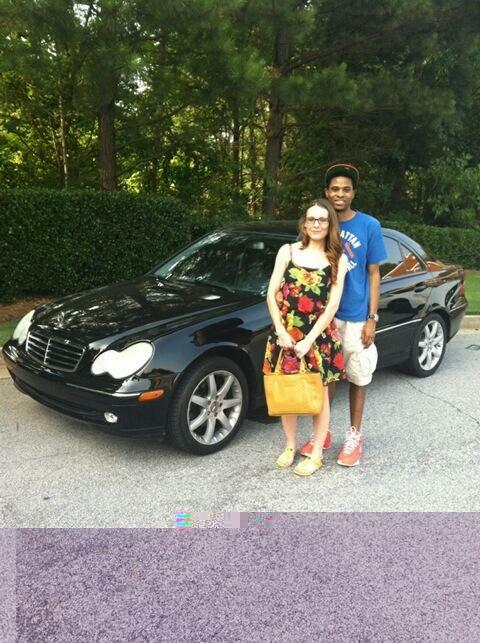 M Motorsports would like to congratulate Dorothy & Lawrence Batiste, Jr. on the purchase of their Merecdes-Benz E320. Dorothy & Lawrence purchased their new car from our M Motorsports of Georgia operation. This is the 3rd vehicle the Batistes have purchased from us. Welcome BACK AGAIN to the M Motorsports Family Dorothy & Lawrence! M Motorsports would like to congratulate Jonathan Kurt Batiste on the purchase of his Mercedes Benz 500SL. Kurt purchased his new car from our M Motorsports of Georgia operation. This is the 3rd vehicle Kurt has purchased from us. Welcome BACK AGAIN to the M Motorsports Family Kurt! M Motorsports would like to congratulate Marcus Archie on the purchase of his Pontiac Grand Prix GT. Marcus purchased his new car from our M Motorsports of Georgia operation. Thanks for another successful "M" sale Armand! Welcome to the M Motorsports Family Marcus! M Motorsports would like to congratulate Tina Jinks-Mitchom on the purchase of her Honda Accord Hybrid. Tina purchased her new car from our M Motorsports of Georgia operation. This is the 3rd vehicle Tina has purchased from us. Welcome BACK AGAIN to the M Motorsports Family Tina! M Motorsports would like to congratulate Robert Shivers of Knoxville, TN. on the purchase of his Ford Explorer Sport. Robert purchased his new SUV from our M Motorsports of Georgia operation. Welcome to the M Motorsports Family Robert! M Motorsports would like to congratulate Adrian "AJ" Mitchom II on the purchase of his rare Porsche 944S. AJ purchased his new rare car from our M Motorsports of Georgia operation. This is the 4rd vehicle AJ has purchased from us. Welcome BACK AGAIN to the M Motorsports Family AJ! M Motorsports would like to congratulate Yvette Perry on the purchase of her Nissan Altima S. Yvette purchased her new car from our M Motorsports of Georgia operation. This is the 2rd vehicle Yvette has purchased from us. Welcome BACK AGAIN to the M Motorsports Family Yvette! M Motorsports would like to congratulate India Nelson on the purchase of her Honda Civic EX Coupe. India purchased her new car from our M Motorsports of Georgia operation. This is the 2rd vehicle India has purchased from us. Welcome BACK AGAIN to the M Motorsports Family India! M Motorsports would like to congratulate Luis DelaRosa of Miami, FL on the purchase of his Honda CR-V. Luis purchased his new SUV from our M Motorsports of Georgia operation. Thanks for another great "M" referral Freddy Martinez! Welcome to the M Motorsports Family Luis! M Motorsports would like to congratulate Kyera Perry of Washington, DC on the purchase of her Nissan Rogue S. Kyera purchased her new SUV from our M Motorsports of Georgia operation. Thanks for another great "M" referral Alvin Brown! Also, huge thanks to Anthony "Zorro" Green for another successful out of town "M" delivery! Welcome to the M Motorsports Family Kyera! M Motorsports would like to congratulate James Kirk of Albuqerque, NM on the purchase of his Dodge Ram 2500 Crew Cab 4x4. James purchased his new truck from our M Motorsports of Georgia operation. Thanks for another great "M" referral Theresa Glass! Welcome to the M Motorsports Family James! M Motorsports would like to congratulate Ja'Nera of Nashville, TN on the purchase of her Ford Explorer Sport. Ja'Nera purchased her new SUV from our M Motorsports of Georgia operation. This is the 2nd vehicle Ja'Nera has purchased from us. Welcome BACK AGAIN to the M Motorsports Family Ja'Nera! M Motorsports would like to congratulate Attorney Terry Lewis of St. Louis, MO on the purchase of his Chevy Silverado LS Crew Cab. Atty. Terry purchased his new truck from our M Motorsports of Georgia operation. Thanks for another great referral Charlotte & Ron La Niear. Also, huge thanks to Anthony "Zorro" Green for another out of town "M" delivery! Welcome to the M Motorsports Family Atty. Terry Lewis! M Motorsports would like to congratulate Stephen Williams on the purchase of his Toyota 4Runner. Stephen purchased his new SUV from our M Motorsports of Georgia operation. Thanks for another great "M" sale Justin Long! Welcome to the M Motorsports Family Stephen! M Motorsports would like to congratulate Michael Mumphrey on the purchase of his Pontiac Grand Prix SE. Michael purchased his new car from our M Motorsports of Georgia operation. Welcome to the M Motorsports Family Michael! M Motorsports would like to congratulate Stephanie Lee on the purchase of her Honda Accord EX V6. Stephanie purchased her new car from our M Motorsports of Georgia operation. Welcome to the M Motorsports Family Stephanie Lee! M Motorsports would like to congratulate Annie Ruth Smith of ARC & Smith, LLC on the purchase of her Chevy Cavalier LS. Annie purchased her new car from our M Motorsports of Georgia operation. Welcome to the M Motorsports Family Annie & the team @ ARC & Smith, LLC! M Motorsports would like to congratulate Allen Guillory of Louisiana on the purchase of his Hummer H2 SUT. 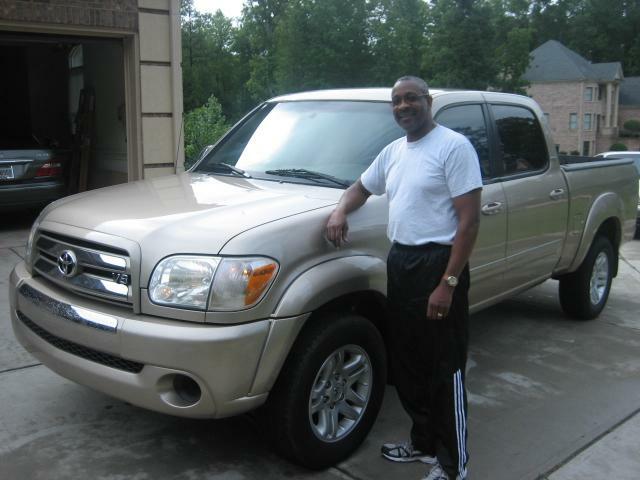 Allen purchased his customed suv from our M Motorsports of Georgia operation. This is the 3rd vehicle Allen has purchased from us. Welcome BACK AGAIN to the M Motorsports Family Allen! Congrats Carla, Zora & David! M Motorsports would like to congratulate Carla Bailey on the purchase of her new Honda Accord LX. Carla purchased her new car from our M Motorsports of Georgia operation. Welcome to the M Motorsports Family Carla, Zora & David! M Motorsports would like to congratulate Earlisha Curney on the purchase of her Chevy Impala. Earlisha purchased her car from our M Motorsports of Georgia operation. Thanks for another great "M" referral Richard Randle! Welcome to the M Motorsports Family Earlisha & daughter! M Motorsports would like to congratulate Tommie' Garner on the purchase of her new Dodge Journey SXT. Tommie''s suv was purchased from our M Motorsports of Georgia Division. This is the second vehicle Tommie' has purchased from the M Motorsports Team. Welcome back again to the M Motorsports Family Tommie'! Congrats Mr & Mrs Sarie! M Motorsports would like to congratulate Mr & Mrs Roland Sarie of Louisiana on the purchase of their Ford E-150 Conversion Van. The Sarie's van was purchased from our M Motorsports of Louisiana Division. Thanks J. Kurt Batiste for another great "M" sale! Welcome to the M Motorsports Family Mr & Mrs Roland Sarie! M Motorsports would like to congratulate Armand C. Mitchom on the purchase of his race car Ford Mustang GT Mach 1. Armand purchased his new race car via our M Motorsports of Georgia services. Congrats Mr & Mrs Daniel! M Motorsports would like to congratulate Mr & Mrs Freddie Daniel on the purchase of their Ford Focus SE. The Daniel's car was purchased from our M Motorsports of Georgia Division. Thanks Tommie Garner for another great referral! Welcome to the M Motorsports Family Mr & Mrs Freddie Daniel! Congrats again Jerry & Renee! M Motorsports would like to congratulate Jerry & Renee on the purchase of their Mercury Sable. Jerry & Renee's car was purchased from our M Motorsports of Georgia Division. This is the third vehicle the Leach family has purchased from the M Motorsports Team. Welcome back again to the M Motorsports Family Jerry, Renee & Joshua! M Motorsports would like to congratulate Eric Laue on the purchase of his Ford E-250 Cargo Van. Eric's cargo van was purchased from our M Motorsports of Georgia Division. Thanks for another great "M" referral Ken Dellojoio. And thanks for another successful "M" out of town delivery Anthony "Zorro" Green! Welcome to the M Motorsports Family Eric! Congrats Mr. & Mrs Smith! M Motorsports would like to congratulate Mr. & Mrs. Demarcus Smith on the purchase of their Chevy Tahoe LT. Mr. & Mrs. Smith's SUV was purchased from our M Motorsports of Georgia Division. Thanks for another great "M" sale Armand! Welcome to the M Motorsports Family Mr. & Mrs. Demarcus Smith! M Motorsports would like to congratulate Eric & Sandra Wright on the purchase of their Honda Odyssey LX mini-van. Eric & Sandra's mini-van was purchased from our M Motorsports of Georgia Division. Thanks for another great "M" sale Armand! Welcome to the M Motorsports Family Eric & Sandra! M Motorsports would like to congratulate Ricky Moore on the purchase of his Ford F-150 Lariat pick-up. Ricky's truck was purchased from our M Motorsports of Georgia Division. Thanks for another great "M" sale Armand! Welcome to the M Motorsports Family Ricky! M Motorsports would like to congratulate Weylin Bailey on the purchase of his Chevy S-10 pick-up. Weylin's truck was purchased from our M Motorsports of Georgia Division. Thanks for another great "M" sale Armand! Welcome to the M Motorsports Family Weylin! M Motorsports would like to congratulate Kelly Daigle of Firm Foundations on the purchase of his GMC Sierra 2500 4x4. Kelly's pick-up truck was purchased from our M Motorsports of Georgia division. Thanks for another great "M" sale Armand. Welcome to the M Motorsports Family Kelly & the Firm Foundations Team! Congrats again Gary & Kathy! M Motorsports would like to congratulate Gary & Kathy Creel on the purchase of their BMW 528i. Gary & Kathy's car was purchased from our M Motorsports of Georgia branch. This is third car the Creel family has purchased from MMotorsports. Welcome back again to the M Motorsports Family Gary & Kathy! M Motorsports would like to congratulate Paul Maza (of BMW of Columbus) on the purchase of his BMW M6 Convertible. Paul's car was purchased from our M Motorsports of Georgia division. Welcome to the M Motorsports Family Paul & the Team @ BMW of Columbus! M Motorsports would like to congratulate Lonnie Coleman on the purchase of his Chrysler Town & Country Touring. 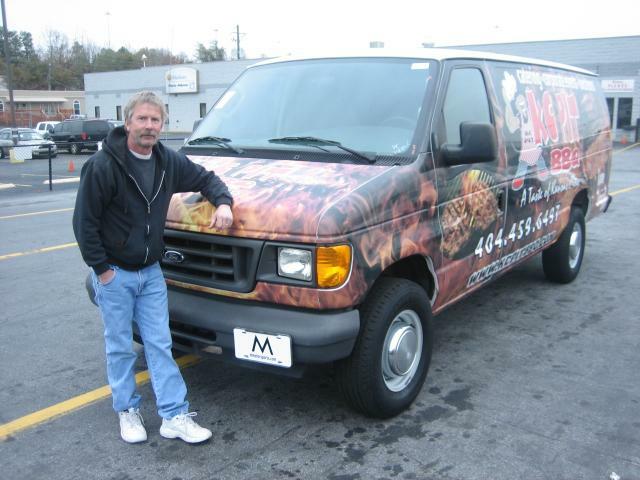 Lonnie's van was purchased from our M Motorsports of Georgia division. Thanks for another great "M" referral Melvin Pinkston. Welcome to the M Motorsports Family Lonnie! M Motorsports would like to congratulate Vin of Vin's Auto Repair on the purchase of his rare Honda Del Sol. Vin's car was purchased from our M Motorsports of Georgia branch. This is Vin's Auto Repair third purchase from MMotorsports. Welcome back again to the M Motorsports Family Vin & Team! M Motorsports would like to congratulate Thomas Holland on the purchase of his new Chevy Tahoe LT. Thomas' suv was purchased from our M Motorsports of Georgia division. Thanks for another great "M" referral Russ Burleson. Welcome to the M Motorsports Family Thomas! M Motorsports would like to congratulate Pastor Du Xuan Pham on the purchase of his Toyota Camry SE. Pastor Du Xuan's car was purchased from our M Motorsports of Georgia division. Thanks for another great "M" sale Jack Leake! Welcome to the M Motorsports Family Pastor Du Xuan! Congrats again Taylor & Stephanie! M Motorsports would like to congratulate Taylor & Stephanie Gaitor-Rooks on the purchase of their new Toyota Corolla LE. Taylor's car was purchased from our M Motorsports of Georgia branch. This is Stephanie's second purchase from MMotorsports. Welcome back to the M Motorsports Family Taylor & Stephanie! M Motorsports would like to congratulate J. Steven Clayton on the purchase of his new Nissan Altima SL. Steve's car was purchased from our M Motorsports of Georgia division. Thanks for another great "M" sale Justin Long. Welcome to the M Motorsports Family Steve! M Motorsports would like to congratulate Frank & Ella Armstead on the purchase of their 2 (two) Honda Accord EX coupes for their son & daughter. Frank & Ella cars were purchased from our M Motorsports of Georgia division. Thanks for another great "M" referral Mr. Ward. Welcome to the M Motorsports Family Armstead family! M Motorsports would like to congratulate Jeff Tallman on the purchase of his Mercury Mountaineer Premier. Jeff's suv was purchased from our M Motorsports of Georgia division. Thanks for another great "M" sale Justin & Armand. Welcome to the M Motorsports Family Jeff! M Motorsports would like to congratulate Norrie Mills on the purchase of her Nissan Altima S CVT. Norrie's car was purchased from our M Motorsports of Georgia branch. This is Norrie's family third purchase from MMotorsports. Welcome back again to the M Motorsports Family Norrie! M Motorsports would like to congratulate Karim Roy (of Buy & Drive, Inc.) on the purchase of his Honda Accord EX coupe. Karim's car was purchased from our M Motorsports of Georgia division. Welcome to the M Motorsports Family Karim! M Motorsports would like to congratulate Austin Leake on the purchase of his Mazda RX-8 coupe. Austin's car was purchased from our M Motorsports of Georgia division. Thanks for another great "M" sale Jack Leake. Welcome to the M Motorsports Family Austin! M Motorsports would like to congratulate Dr. P. Jones on the purchase of her Ferrari 430 Spider. Dr. Jones' sportscar was purchased via our M Motorsports Services. This is Dr. Jones' third purchase from MMotorsports. Welcome back again to the M Motorsports Family Dr. Jones! M Motorsports would like to congratulate Christina D. on the purchase of her Honda Accord EX coupe. Christina's car was purchased from our M Motorsports of Georgia division. Thanks for another great "M" sale Jack Leake. Welcome to the M Motorsports Family Christina! Welcome Back Robert III & Ashley! M Motorsports would like to welcome back again Robert III & Ashley Mitchom of Brentwood, TN. Robert & Ashley purchased their Mercedes-Benz C230 Sport from our M Motorsports of Atlanta division. Welcome BACK to the M Motorsports Family Robert III & Ashley! Welcome Back John & Elke! M Motorsports would like to welcome back again John & Elke McIntosh of Illinois. John & Elke purchased their new BMW 750i from our M Motorsports of Atlanta/KarMogul division . Welcome BACK to the M Motorsports Family John & Elke! M Motorsports would like to congratulate Courtney Batiste of Louisiana on the purchase of her Honda Accord EX coupe. Courtney's car was purchased from our M Motorsports of Georgia division. Thanks for another great "M" sale Armand. Welcome to the M Motorsports Family Courtney! M Motorsports would like to congratulate Nickolas Knight on the purchase of his Chevy Cavalier Z24. Nickolas' car was purchased from our M Motorsports of Georgia division. Welcome to the M Motorsports Family Nickolas! M Motorsports would like to congratulate Ron & Charlotte LeNeir of Cincinnati, OH. on the purchase of their Honda Accord LX. Ron & Charlotte's car was purchased from our M Motorsports of Georgia division. Thanks for another great "M" referral Vallory. Welcome to the M Motorsports Family Ron & Charlotte! M Motorsports would like to congratulate Gloria Watson on the purchase of her new Mercedes-Benz E320w4. Gloria's car was purchased from our M Motorsports of Georgia branch. Thanks for another great "M" referral Tim. Welcome to the M Motorsports Family Gloria! M Motorsports would like to congratulate Carey Sanchez-Blalock on the purchase of her new Toyota Camary SE. Carey's car was purchased from our M Motorsports of Georgia branch. Thanks for another great "M" referral Gwen Borders. Welcome to the M Motorsports Family Carey! M Motorsports would like to welcome back again Gwen Borders. Gwen purchased her new Honda CR-V from our M Motorsports of Atlanta. Welcome BACK to the M Motorsports Family Gwen! M Motorsports would like to welcome back Justin Long. Pastor Justin purchased his new Chevy 1500 Z-71 truck from M Motorsports of Atlanta. Welcome BACK to the M Motorsports Family Pastor Justin! M Motorsports would like to congratulate Ryan Moss on the purchase of his Nissan Maxima SE. Ryan's car was purchased from our M Motorsports of Georgia branch. Thanks for another great "M" referral Armand. Welcome to the M Motorsports Family Ryan! M Motorsports would like to congratulate Kendy Casimir on the purchase of his BMW 330ci. Kendy purchased his car from our M Motorsports of Georgia operation. Welcome to the M Motorsports Family Kendy! M Motorsports would like to congratulate Corey Leak of Bloomington, IL on the purchase of his Honda Pilot EX-L. Corey's car was purchased from our M Motorsports of Georgia branch. Thanks for another great "M" referral Pastor Justin Long. Welcome to the M Motorsports Family Pastor Corey! Congrats AGAIN Chris & Brianna! M Motorsports would like to congratulate Chris & Brianna Burns of Newnan, GA on the purchase of their Mercury Mountaineer AWD. This is Chris & Brianna's 2nd "M" purchase from M Motorsports. Welcome BACK to the M Motorsports Family Chris & Brianna! M Motorsports would like to congratulate Richard Ducksworth, Sr. of Swansea, IL on the purchase of his BMW 750 Li. Richard purchased his car via our M Motorsports of Illinois operations. Also, worth noting, Richard is Co-owner of our M Motorsports/ Used Car Factory-Illinois operations. Welcome to the M Motorsports Family Richard! M Motorsports would like to congratulate Taneshia "Tee" Barnett of Boston, MA on the purchase of her Chevy Monte Carlo LT. Tee's car was purchased from our M Motorsports of Georgia branch. Thanks for another great "M" referral Brittany Mitchom. Welcome to the M Motorsports Family Tee! M Motorsports would like to congratulate Evelyn Edmond of Delta Airlines on the purchase of her BMW 535ia. Evelyn's car was purchased from our M Motorsports of Georgia branch. Thanks for another great "M" referral Deacon Andre & Sister Campbell. Welcome to the M Motorsports Family Evelyn! M Motorsports would like to welcome back Samara Jinks of Georgetown University on the purchase of her Honda Accord SE. Samara purchased her new car from M Motorsports of Atlanta. Welcome BACK to the M Motorsports Family Samara! M Motorsports would like to congratulate Holly Scott of Mobile, AL on the purchase of her Mercedes-Benz CLK500. Holly purchased her new car from our M Motorsports of Georgia branch. Thanks for another successful "M" sale Calvin Wells, III. Welcome to the M Motorsports Family Holly! M Motorsports would like to congratulate Desirae Guillory of Louisiana on the purchase of her Mercedes-Benz C240. Thanks for another "M" referral Allen! Welcome to the M Motorsports Family Desirae! M Motorsports would like to congratulate Bill Ritzel of Belleville, IL on the purchase of his Ford Fusion. Bill purchased his car from our M Motorsports of Illinois operation. Thanks for another successful sale Richard Ducksworth, Sr. Welcome to the M Motorsports Family Bill! M Motorsports would like to congratulate Leroy Walker of South Carolina on the purchase of his BMW 650cic. Leroy's car was purchased from our M Motorsports of Georgia branch. Thanks for another "M" referral Sandra Davis. Welcome to the M Motorsports Family Leroy! M Motorsports would like to congratulate Sharon Benjamin Hodo of Los Angeles, CA on the purchase of her Toyota Avalon Limited. Sharon purchased her car from our M Motorsports of Georgia branch. This is Sharon's 2nd purchase from M Motorsports. Welcome to the M Motorsports Family Sharon & Pastor Robert Hodo! M Motorsports would like to congratulate Marcia & Conway Bennett of Manheim on the purchase of their Ford Escape Limited. Marcia & Conway's suv was purchased from our M Motorsports of Georgia branch. Welcome to the M Motorsports Family Marcia & Conway! M Motorsports would like to congratulate Bradley Campbell of Belleville, IL on the purchase of his Nissan 350Z Touring Package. Bradley purchased his car from our M Motorsports of Illinois operation. Thanks for another successful sale & delivery Richard Ducksworth, Sr. & Anthony "Zoro" Green. Welcome to the M Motorsports Family Bradley! M Motorsports would like to congratulate Abdul & Adnan of Saudi Arabia on the purchase of their BMW 330CIC convertible. Abdul & Adnan purchased their car from our M Motorsports of Georgia operation. Thanks for another successful international referral & delivery Nabil. Welcome to the M Motorsports Family Abdul & Adnan! M Motorsports would like to congratulate Vallory Clardy of St. Louis, MO. on the purchase of her Mercedes-Benz ML350. Vallory's suv was purchased from our M Motorsports of Georgia branch. Thanks for another great "M" referral Tina Mitchom. Welcome to the M Motorsports Family Vallory! M Motorsports would like to congratulate Mohammad Masoud F Albalawi of New York, NY on the purchase of his Toyota Camry LE. Mohammad's car was purchased from our M Motorsports of Georgia branch. Thanks for another "M" referral Nabil. Welcome to the M Motorsports Family Mohammad! M Motorsports would like to congratulate Robert & Shawn Bee of Richmond, VA on the purchase of their Honda Odyssey Touring Package. Robert & Shawn purchased their van from our M Motorsports of Georgia branch. Thanks for another "M" referral Sharon B. Hodo. Welcome to the M Motorsports Family Robert & Shawn! M Motorsports would like to congratulate Mike Thacker of Lawrenceville, GA on the purchase of his Dodge Ram Quad Cab Hemi (ThunderRoad Package). Mike purchased his new truck from our M Motorsports of Georgia branch. Welcome to the M Motorsports Family Mike! Congrats Mr. & Mrs. Jeff Brown! M Motorsports would like to congratulate Mr. & Mrs. Jeff Brown of Minette, AL on the purchase of their Chevy Astro EXT van. Mr. & Mrs. Brown purchased their new van from our M Motorsports of Georgia branch. Thanks for another "M" sale Calvin Wells, III. Welcome to the M Motorsports Family Mr. & Mrs. Jeff Brown! M Motorsports would like to congratulate Steve Lewis of Custom Cut Stencil of Belleville, IL on the purchase of his Mazda Miata MX5 10th Anniv. Edition. Steve purchased his new car from our M Motorsports of Illinois operation. Thanks for another successful sale & delivery Richard Ducksworth, Sr. & Anthony "Zoro" Green. 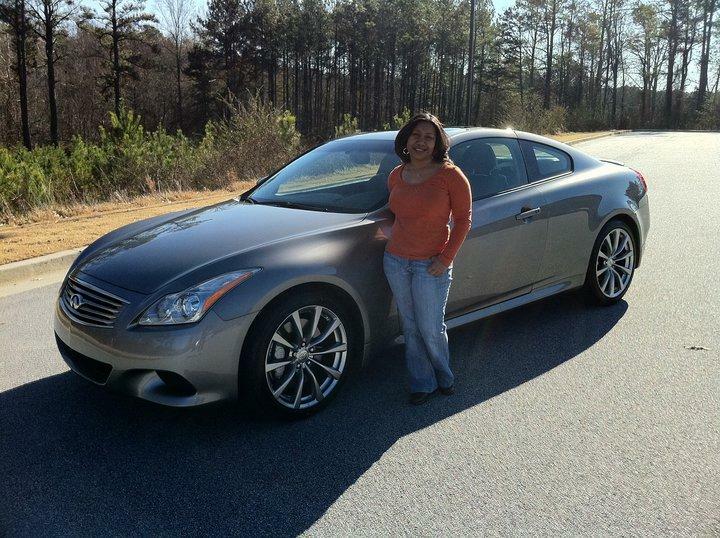 M Motorsports would like to congratulate Lisa Kay Sullivan of Martinez, GA on the purchase of her Infiniti G37S (sport pkg). Lisa purchased her new car from our M Motorsports of Georgia branch. This is Lisa's second purchase from M Motorsports. Welcome BACK AGAIN to the M Motorsports Family Lisa Kay! M Motorsports would like to congratulate Greg Swift of Woodstock, GA on the purchase of his Dodge Dakota. Greg purchased his new pick-up truck from our M Motorsports of Georgia operations. This is Greg's second purchase from M Motorsports. Welcome BACK to the M Motorsports Family Greg! M Motorsports would like to congratulate Timmothy Whiting of Hiram, GA on the purchase of his Lexus LS400. Tim purchased his new car from our M Motorsports of Georgia branch. Thanks for another "M" sale Randall Darensbourg. Welcome to the M Motorsports Family Tim! M Motorsports would like to congratulate Ms Rankin of Marietta, GA on the purchase of her Kia Soul +. Ms. Rankin purchased her new car via our M Motorsports of Georgia operations. Welcome to the M Motorsports Family Ms. Rankin! M Motorsports would like to congratulate Jessica of Cobb County, GA on the purchase of her Nissan Altima SE. Jessica purchased her new car from our M Motorsports of Georgia operation. Thanks for another sale Randall Darensbourg. Welcome to the M Motorsports Family Jessica! M Motorsports would like to congratulate Greg Swift of Woodstock, GA on the purchase of his Suzuki GSX Katana 600 motorcycle. Greg purchased his new motorcycle from our M Motorsports of Georgia operations. Welcome to the M Motorsports Family Greg! M Motorsports would like to congratulate Shana Singleton of Huntsville, AL on the purchase of her Lexus GS450H. Shana purchased her new car from M Motorsports of Atlanta. Welcome to the M Motorsports Family Shana! Also, thanks for going green with your new Hybrid car! 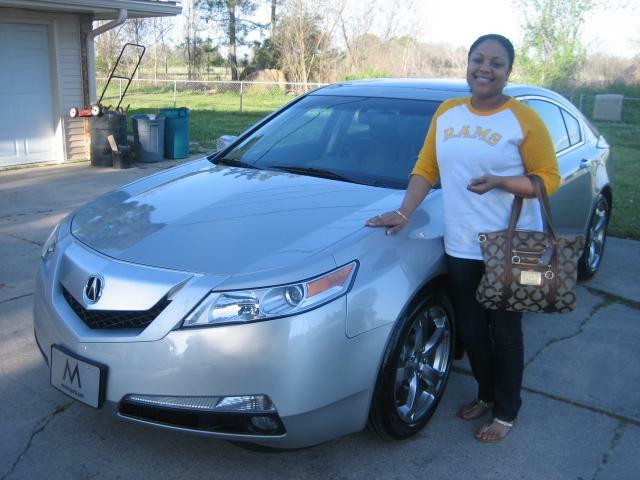 M Motorsports would like to congratulate Angela Boxie of Carencro, LA on the purchase of her Acura TL 3.5. Angela purchased her new car from our M Motorsports of Georgia operation. Thanks for another referral Shana Singleton. Welcome to the M Motorsports Family Angela! 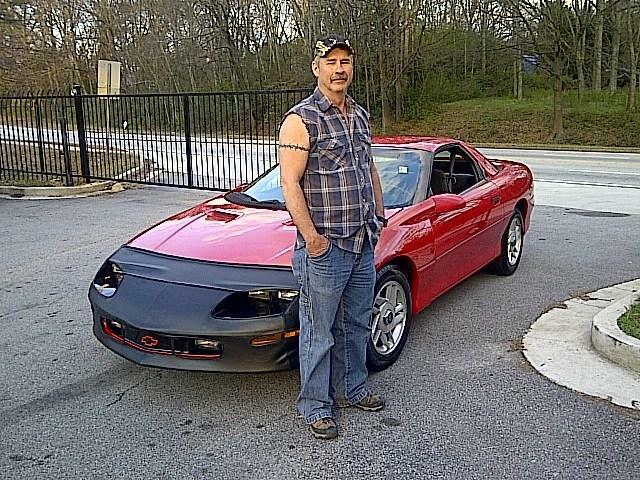 M Motorsports would like to congratulate Dale Scoggins of Danielsville, GA on the purchase of his Chevy Camaro. Dale purchased his new car from our M Motorsports of Georgia operation. Thanks for another referral Jerome. Welcome to the M Motorsports Family Dale! M Motorsports would like to congratulate Scott Walker of Mount Pleasant, SC on the purchase of his BMW 3-series. This is Scott's third purchase via M Motorsports & Karmogul. Thanks for another "M" sale Myles Christian! Welcome back to the M Motorsports Family Scott! 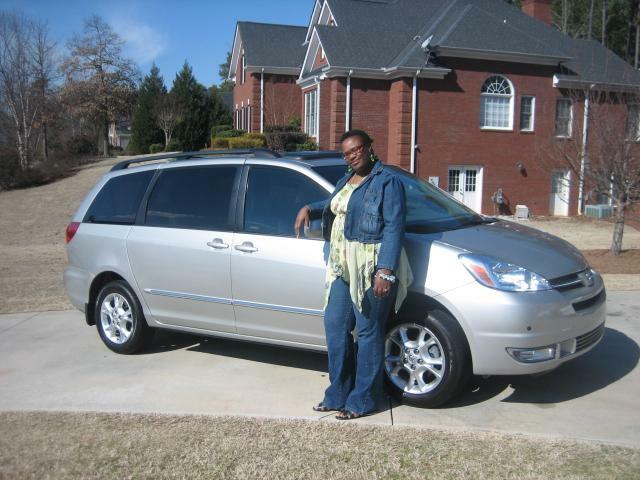 M Motorsports would like to congratulate Candacie C. of Lithonia, GA on the purchase of her Toyota Sienna XLE LTD. Candacie purchased her car from our M Motorsports of Atlanta operation. Thanks again Diane Cornwell for another successful "M" delivery. Welcome to the M Motorsports Family Candacie! 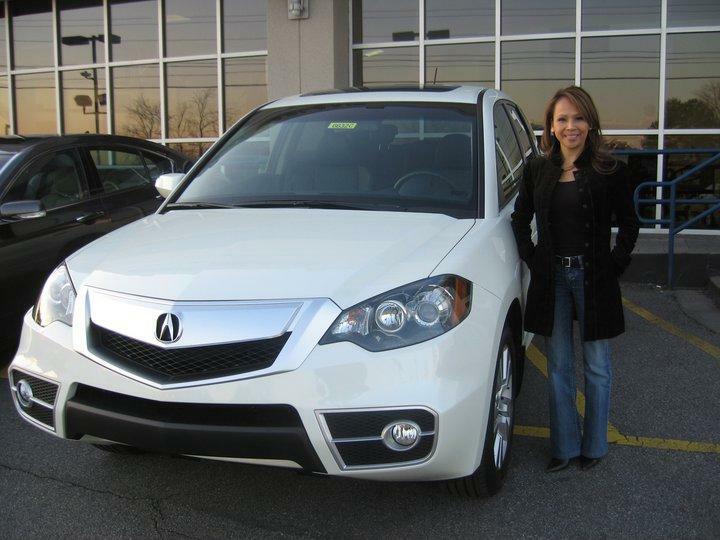 M Motorsports would like to congratulate Khue Huffman of Alpharetta, GA on the purchase of her Acura RDX. Khue purchased her new suv via Karmogul. Thanks for another "M" sale Myles Christian! Welcome to the "M" family Khue! 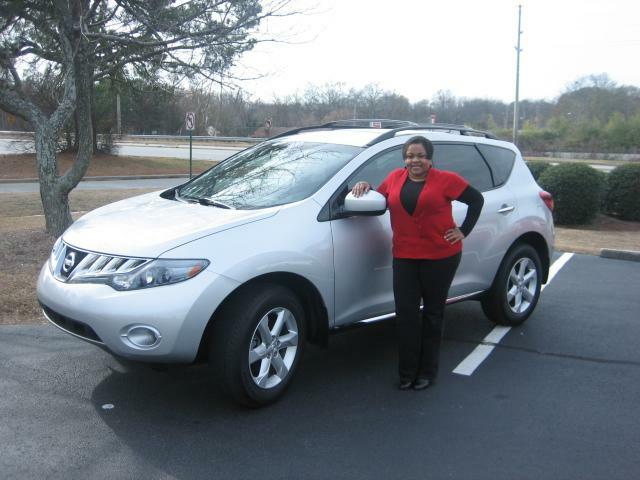 M Motorsports would like to congratulate Tiarra of Atlanta, GA on the purchase of her Nissan Murano SL. Tiarra purchased her new suv from our M Motorsports of Nashville,TN operation. Thanks again Robert II for another successful "M" delivery. Welcome to the M Motorsports Family Tiarra! M Motorsports would like to congratulate VeLisa Wright of Atlanta, GA on the purchase of her Infiniti G-37sport. This is VeLisa's second purchase via M Motorsports & Karmogul. Thanks for another "M" sale Myles Christian! Welcome back to the M Motorsports Family VeLisa! M Motorsports would like to congratulate FloorMax, Inc. of Buford, GA on the purchase of their Ford E-250 Extended Cargo van. This is FloorMax's second purchase from M Motorsports. FloorMax purchased their new van from our M Motorsports of Georgia operation. Thanks for another "M" sale Travis Shaw! Welcome back to the M Motorsports Family team FloorMax, Inc. (Todd, Travis & Billy)! 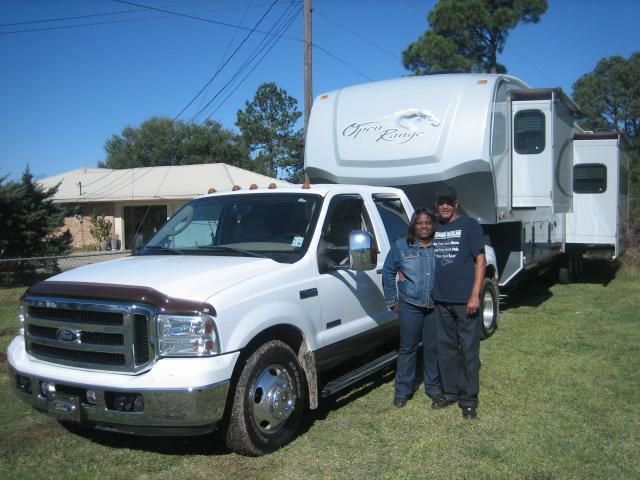 M Motorsports would like to congratulate Gene & Willie Guillory of Sunset, LA on the purchase of their new Ford F-350 & 42ft RV Camper. Welcome to the M Motorsports Family Gene & Willie! M Motorsports would like to congratulate Roger & Gina Wix of Bremen, GA on the purchase of their Ford E-150 Conversion van. Roger & Gina purchased their new van from our M Motorsports of Georgia operation. Thanks for another referral Calvin Wells III. Welcome to the M Motorsports Family Roger & Gina! 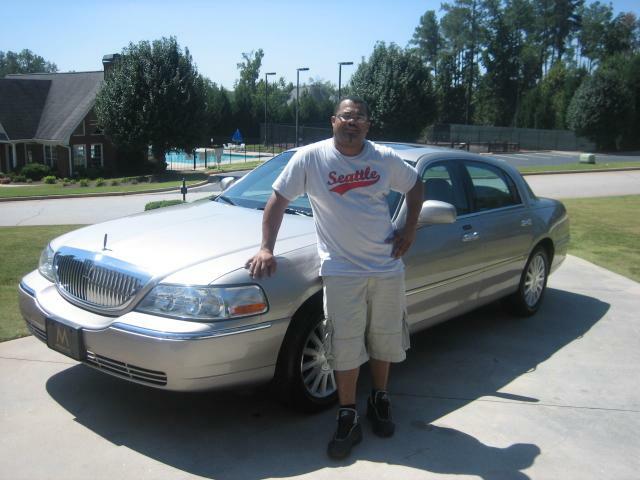 M Motorsports would like to welcome BACK Kurt Batiste (We Care Transportation, LLC) of Lafayette, Louisiana on the purchase of his new Lincoln Town Car. Kurt purchased his car from M Motorsports of Atlanta. 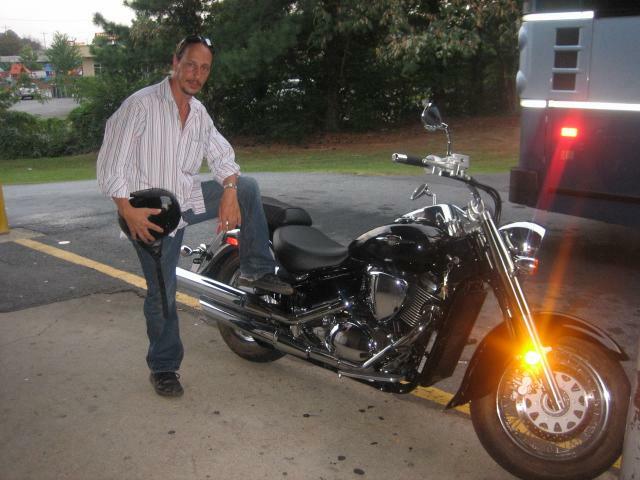 M Motorsports would like to congratulate Anthony "Tony Malone" Holley of Marietta, GA on the purchase of his new Suzuki C-50 "Boulevard" edition. Welcome to the M Motorsports Family Anthony! 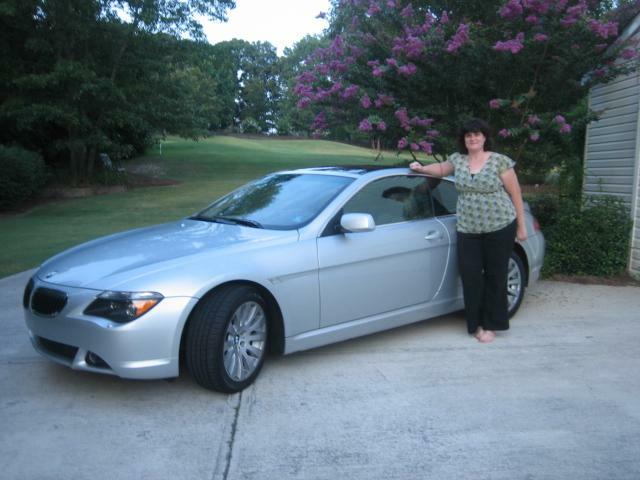 M Motorsports would like to congratulate Gwen Borders of Hiram, GA on the purchase of her BMW 645ci. Gwen purchased her new car from M Motorsports of Atlanta. Welcome to the M Motorsports Family Gwen! 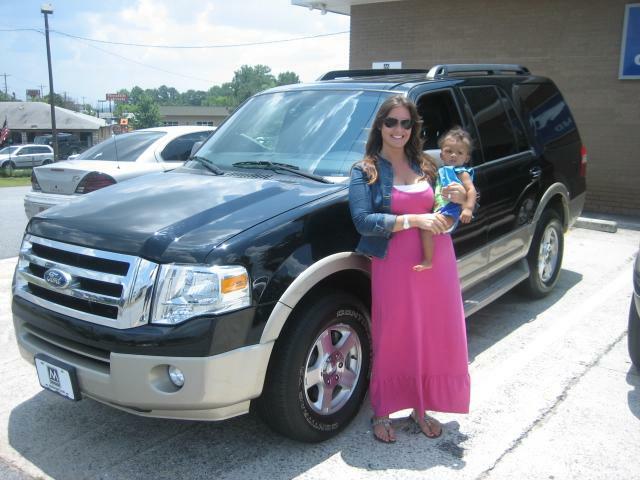 M Motorsports would like to congratulate Bradford & Amanda Graham-Bailey of Quitman, GA on the purchase of their Ford Expedition 4x2 Eddie Bauer. Amanda & Bradford purchased their new suv from M Motorsports of Atlanta. Welcome to the M Motorsports Family Amanda, Bradford & Baer! M Motorsports would like to congratulate Mr. Luis Chacon of Kennesaw, GA on the purchase of his Toyota Sienna SLE. 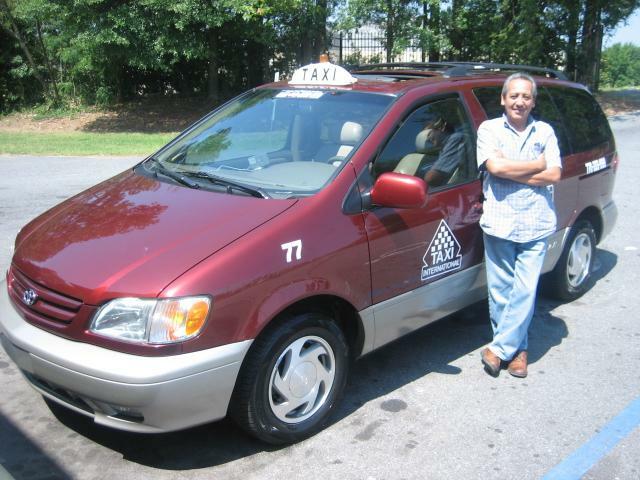 Mr. Luis purchased his new van via M Motorsports of Atlanta services. Welcome to the M Motorsports Family Mr. Luis! M Motorsports would like to congratulate Pastor Barry Knight of Fayetteville, GA on the purchase of his Toyota Tundra Crew Cab. Barry purchased his new truck from M Motorsports of Atlanta. Welcome to the M Motorsports Family Barry! 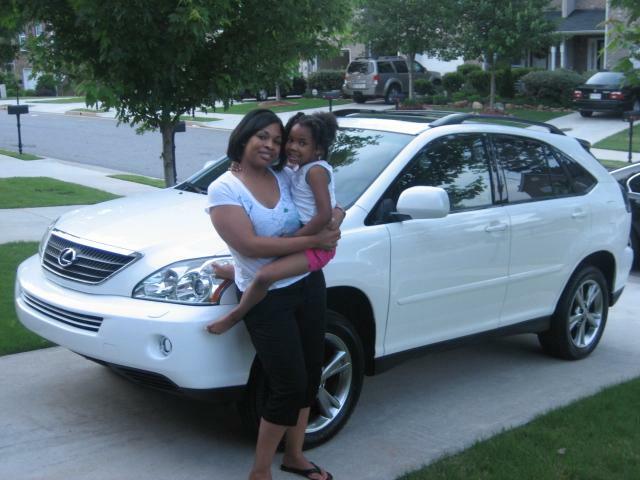 M Motorsports would like to congratulate Shelbye & Demi Gilstrap of Lawrenceville, GA on the purchase of their Lexus RX400H AWD. Shelbye & Demi purchased their new suv from M Motorsports of Atlanta. Welcome to the M Motorsports Family Shelbye & Demi! Also, thanks for going green with your new Hybrid! M Motorsports would like to congratulate Elder Lawrence & Dorothy Batiste of Tyrone, GA on the purchase of their Lincoln Town Car Signature Series. Lawrence & Dorothy purchased their new car from M Motorsports of Atlanta. Welcome to the M Motorsports Family Lawrence & Dorothy! M Motorsports would like to congratulate Patrick Brazer of Duluth, GA on the purchase of his RARE Acura NSX. Patrick purchased his car from M Motorsports of Atlanta. Welcome to the M Motorsports Family Patrick & the Brazer Enterprises Team! M Motorsports would like to congratulate TJ of Atlanta, GA on the purchase of her new BMW 335cic. TJ purchased her car via the services of M Motorsports of Atlanta. Welcome to the M Motorsports Family TJ! 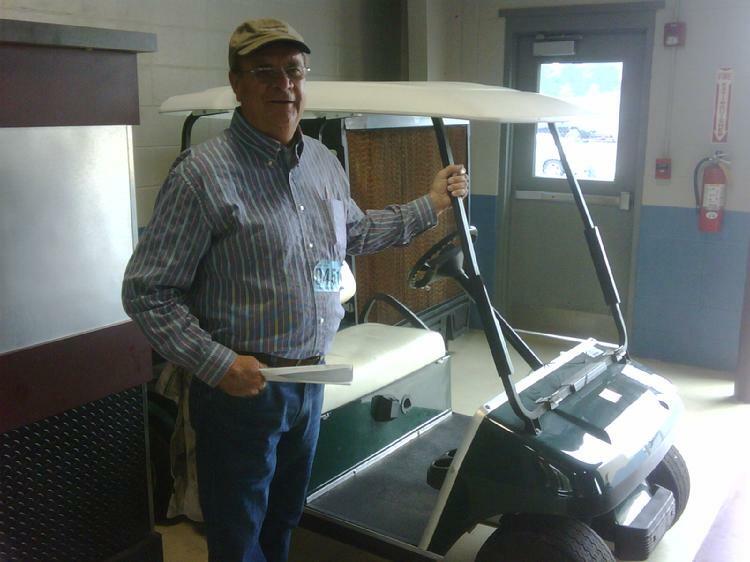 M Motorsports would like to congratulate Bob Perry of Stockbridge, GA on the purchase of his Club Car golf cart 2+2. Bob purchased his golf cart from M Motorsports of Atlanta. Welcome to the M Motorsports Family Bob & the R W P Sales Team! M Motorsports would like to congratulate Dr. Ruiz Calderone of Miama, Fl on the purchase of his Rolls Royce Phantom. Dr. Ruiz purchased his car via M Motorsports of Atlanta services. Welcome to the M Motorsports Family Dr. Ruiz! 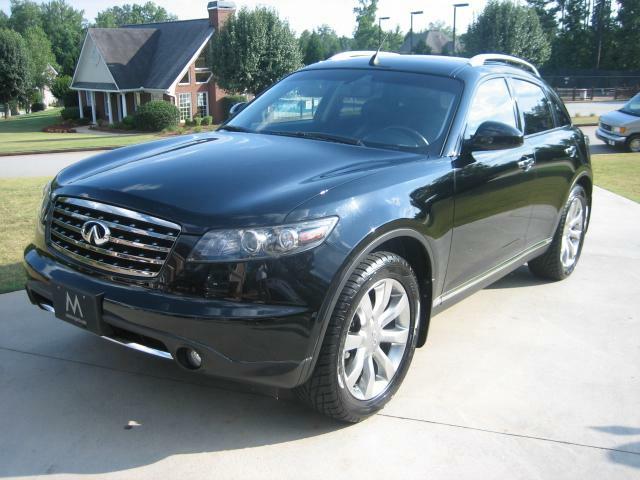 M Motorsports would like to congratulate Jeanna Johnson of Atlanta, GA on the purchase of her Infiniti FX 35. Jeanna Johnson purchased her car from M Motorscars of Chicago. Welcome to the M Motor Family Jeanna!